Medicare Enrollment: How to select the Best Plan that suits your Needs? | Your Life Security, L.L.C. Medicare Enrollment: How to select the Best Plan that suits your Needs? As Medicare open enrollment approaches, October 15 – December 7, 2017, it’s important to consider purchasing a Medicare supplement now because, in 2020, people who are on Medicare and don’t already have what’s known as Plan F or Plan C Medigap insurance, won’t be able to buy it. The federal government will close those plans to new participants. That means that when people go onto Medicare at 65, or if they switch Medicare-related insurance during the next couple of years, they are going to have to be diligent about scrutinizing insurance possibilities before some of those doors start to close. Medigap plans are an extra health insurance policy that you buy from a private company and pay a monthly premium for to cover certain health care costs not covered by original Medicare. If you are going to buy a Medigap plan, the open enrollment period is six months from the first day of the month of your 65th birthday — as long as you are also signed up for Medicare Part B — or within six months of signing up for Medicare Part B. Insurance companies set their own prices and rules about eligibility, so it’s important to talk about which is the best option for you. With the 2020 change coming, it’s crucial for people to act now so they don’t end up locked out of a plan they’d want, or get stuck in a plan they don’t want. Anyone who is already in Plan F on Jan. 1, 2020, will be allowed to stay with it for the rest of their lives. An excellent article was recently written by Gail MarksJarvis of the Chicago Tribune on the future of Medigap insurance. With the doors closing on Plan F, now is the time to get in if you want the certainty of the most comprehensive plan and are either turning 65 or are older, healthy and already enrolled in Medicare. As an Independent Licensed Insurance Broker, I highly recommend purchasing a Medicare supplemental coverage policy to protect you from charges not covered by Medicare. 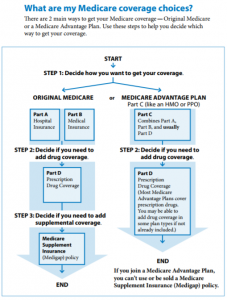 It’s important to understand what is covered by and the differences between the Original Medicare (Medigap) supplement and Medicare Advantage programs. Consult with us at Your Life Security to determine the best way to fill in the “gap” of your Medicare coverage. 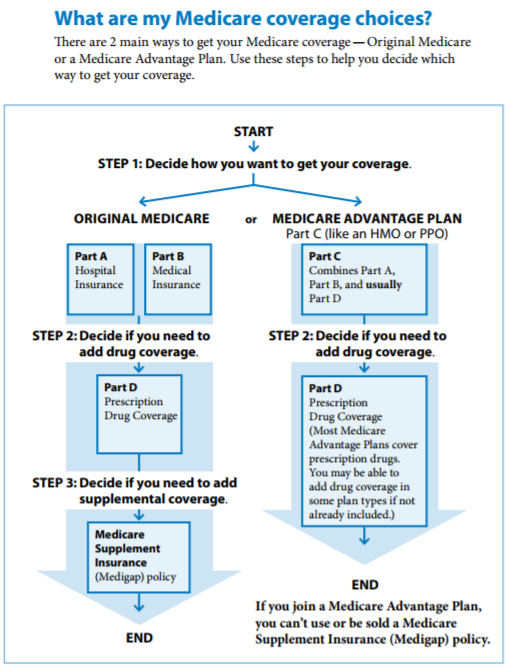 Medicare’s comparison of Medigap & Advantage supplemental options.